I’ve said before that good writing never goes out of style. Nor do good writing tips. This post last ran in 2015. Did you expect to see the word “profit” in that title? Not likely. Let me share some thoughts from what I’ve experienced over the past gazillion years and nearly thirty novels written. When I made the commitment to start writing novels a long, long time ago I began by sticking to one of the basic tenets: Write what you know. I knew Edgar Rice Burroughs, Lin Carter, Robert E. Howard, John Norman, Otis Adelbert Kline, among others, and my first thirteen published books (and a few unpublished) reflected this influence. Nothing wrong with that; it’s a good way to get started. 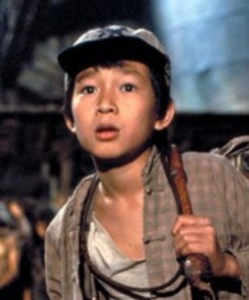 But remember what that kid, Short Round, dreamed about in the second Indiana Jones movie? Yeah, fortune and glory. That’s what I hoped for, and writing adventure fantasy and sword & planet novels weren’t doing it, so I looked at what was currently selling—this was the early to mid-eighties—and decided to write what was hot: romance novels. Harlequin, Loveswept, imprints like that. Mistake #1: what’s selling today will likely not be selling by the time you complete a novel, much less get it published. I used to be able to pop out a novel in a couple of months. Most writers can’t do that. Even so, then it has to be sold; that could take a long time. Then, a publisher has to put it on their schedule, which at that time could be a year, even longer. Got the point? Mistake #2: I’d never read a romance novel in my life and had no interest in them whatsoever. I forced myself to read a half-dozen or so before I undertook the project, and I mean forced. Predictably, the few chapters I managed to pump out were crap, and I abandoned the effort. 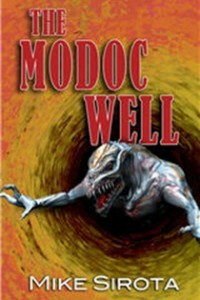 Maybe another tenet should be, “Don’t write what you don’t like to read.” Duh, ya think? Still, Short Round’s fortune and glory remained elusive, and by the mid-nineties, after some tough times, I finally got the message. For the past two-plus decades, as a writing coach, editor, and maven to many aspiring authors, I have applied what I learned in the School of Hard Knocks. I established Sirota’s Rules of Writing. There are two of them, and they are simple. Rule #1: Keep your day job. Rule #2: Write because you love writing. All writers—all people—would like to have a taste of fortune and glory; I understand that. But that dream comes to few novelists. So I’ve always set expectations before working with any writer. Most writers are realistic; occasionally, some are not, and because of that I’ve always refused to work with them, no matter how talented they were. Here is an extreme example—and I swear I’m not making this up. Years ago I was scheduled to teach a six-week course on writing novels for the University of California, San Diego (UCSD) Extension. A woman called me before the first session, said that she signed up, and asked if I could meet with her an hour before the first class. She showed up, switched on a tape recorder, stuck a mic in my face and asked me to tell her everything I could about writing and getting published before the class started. I figured she must have a completed manuscript all ready to go. No, actually, all she’d ever written before were letters, but her family told her how great she wrote, so she figured—this was her timeline—that she could have a novel completed in a few months and published by the end of the year, and (she said this) make the kind of money that Danielle Steel and Stephen King made. Okay, you can guess how I wanted to respond to this, but what I told her was to just be patient, and all of her questions would be answered over the six weeks. After the class arrived I did my usual introduction, which included, somewhere in the first ten minutes of the initial session, reciting Sirota’s Rules of Writing. The woman’s eyes bulged when I said, “Keep your day job, and write because you love writing.” At the break she went to the office, got her money back, and left, never to be seen again. I resumed writing a few years ago, not for fortune and glory, but because I love doing it, and I’ll continue writing until I get summoned up to the Mother Ship, or Barsoom, or wherever. 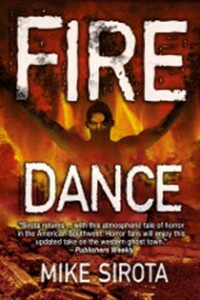 If I was concerned about losing my touch, the initial effort, a ghost story titled Fire Dance, received a good deal of critical acclaim and was a finalist in the San Diego Book Awards for the category of Sci-Fi, Fantasy, and Horror, as was another ghost story, The Burning Ground. 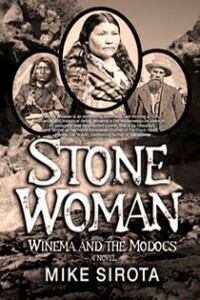 My third book, Freedom’s Hand, actually won the award in for “Best Action/Thriller, 2013,” and a year later my historical novel, Stone Woman: Winema and the Modocs, won the top award in that category. Writing is a joy for me.